Intuitively, it is a stretch to assert that a social system with a wide range of goals of which the development of the productive forces is only one, will surpass a society consumed by the singularity of that goal. The incentive-egalitarian balance highlights that trade-off. And if we accept that the path to socialism will involve sacrifices and choices all along the way, including in its construction, then winning people to the socialist cause and keeping them there will have to be based on their desire for something different rather than the questionable promise of socialism bringing not only more justice, more democracy, more workplace control, but also more growth. In this interview, Wolff discusses how the revolutions that overthrew feudalism laid the foundations for our current crisis of capitalism, why historical models of socialism put into practice failed, and what lessons we can learn from them in creating a new socialism. In 1985 Ernesto Laclau and Chantal Mouffe published their ground breaking work Hegemony and Socialist Strategy: Towards a Radical Democratic Politics. Coming at the beginning of the era of neoliberalism’s political and economic hegemony, the pair argued for a radical re-visioning of traditional left politics. 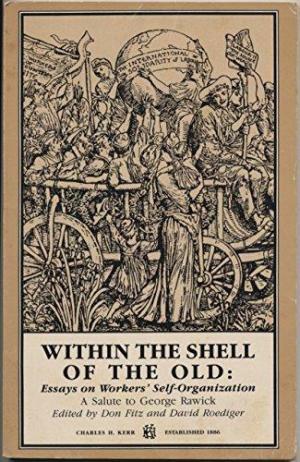 This book attempted to integrate the politics of democratic socialism with insights derived from anti-colonial struggles, post-structuralism, and the new social movements addressing racism, sexism, gay rights and environmental issues. “Populism” is a magical word. Its mysterious power unites the Erdogan and Putin governments, Latin American leftists like Evo Morales and the late Hugo Chavez, the resurgent Right in Europe and the United States, Hungarian and Polish anti-communist parties, Podemos, the Eurocommunism of the tragic Syriza, the revitalizers of social democracy Bernie Sanders and Jeremy Corbyn – all under the same umbrella. The basic problem we have with parecon as advocated by Michael Albert is that we think he proposes blueprints for society without attempting to provide anything empirical to back up his claims. Whenever a criticism is raised, Albert’s response is to assert the beauty and elegance of his model, or to claim he has already considered this or that objection, so why are we being so critical? Of course, since the model is not functioning in the actual world, there is no evidence to falsify it, and Albert can always double down on its elegance in his ideal mindscape. Kristin Ross discusses how the Paris Commune remains valuable as a resource for anti-systtemic movements today. A reprint of an article by Ralph Milliband and Marcel Liebman that discusses the strengths and shortcomings of Social Democracy and what must be done to advance beyond it.